CAPS (the Cooperative Agricultural Pest Survey) is a cooperative effort between the Georgia Department of Agriculture and state and federal agencies. The mission of the program is to conduct surveillance, detection, and monitoring activities of agricultural crop pests and biocontrol agents. 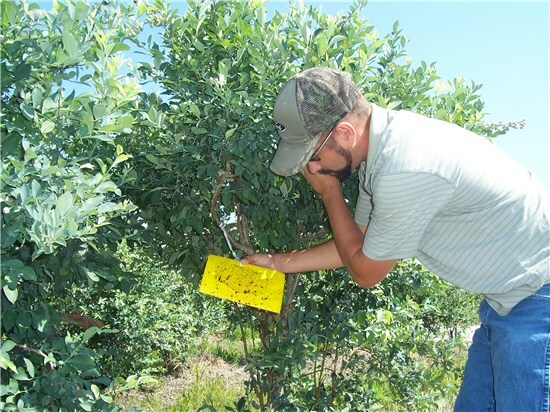 At this time, survey targets include insects, plant diseases, weeds, nematodes and other invertebrate organisms. The primary goal of the CAPS program is the early detection of exotic invasive pests. Control and eradication measures work best if a pest is caught before it becomes well established. The USDA maintains a comprehensive list of target species that are potential threats to U.S. agriculture and forest resources. Generally, these pests are not established in the U. S. or have very limited distribution. The goal is to be proactive in preparing for plant health emergencies and to help strengthen off-shore pest-exclusion programs. The CAPS program is committed to protecting and promoting Georgia and U.S. agriculture by facilitating trade. CAPS data is used to support the development and expansion of export markets by identifying pest-free regions which can promote and allow agriculture exports even if a pest is found within another state.